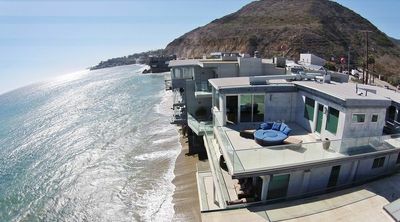 Gorgeous beachfront Malibu home on private sandy beach. You cannot beat having breakfast with the sound of the waves crashing below you. The views are breathtaking while having your own sandy beach is usually reserved for celebrities! 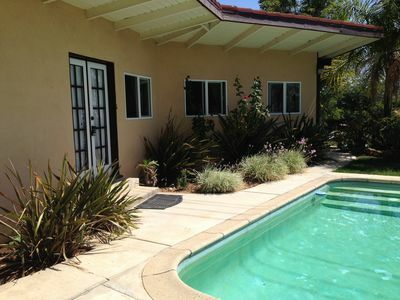 Easy 12 min drive to Santa Monica and 5 min to the best restaurants in the area. Our home is a great fit for big families, group of friends and corporate retreats. Come and see why everyone falls in love with the South Californian Beaches. Parking included! This is my favorite place in the entire world. 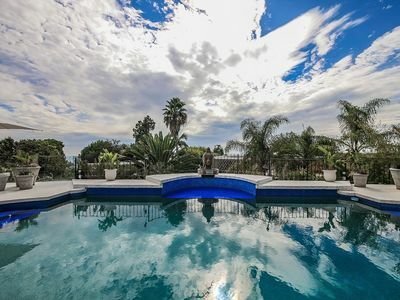 Old world charm, tons of space, world class views, a rare beach home directly on a sandy private beach, and unbeatable South Malibu Location close to everything. Spending a few nights here can quickly change your perspective on life as you breathe in the ocean air, fall asleep to the waves, and walk among the multi-million dollar homes. The perfect place for a large family, several couples, group of friends, or a corporate retreat. Fall in Love with LA! 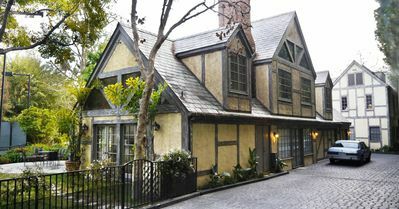 This is a very unique home - it has the potential to be the highlight of your trip to Los Angeles. You will be able to watch the sunrise over the ocean from the living room and there is a good chance you'll see a dolphin or a seal while you're eating breakfast on the beach. The ocean waves will lull you to sleep at night and you'll be able to see the shimmering lights of Los Angeles reflect off the ocean from your private beach. The peaceful tranquility of Topanga State Beach is a short walk away - the hustle and bustle of Santa Monica is a quick 10 minute drive. That being said, our home is not for everyone. We have tried our best to spell out all the idiosyncrasies in our home so that there are no surprises. 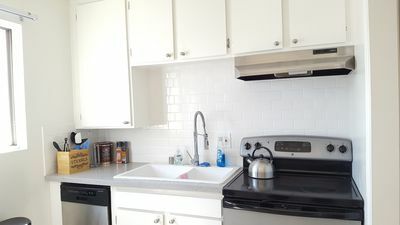 Managing expectations is very important - please read this entire listing so you have a very clear idea of us, our home, and our expectations for you. 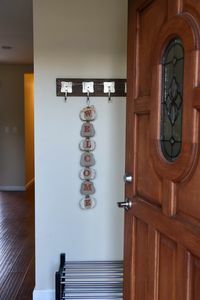 Please be very clear about the total number of guests when booking this home. Anybody that will be entering our home is considered a guest, regardless of if they stay overnight. If you are trying to host a large group, there will be additional charges. 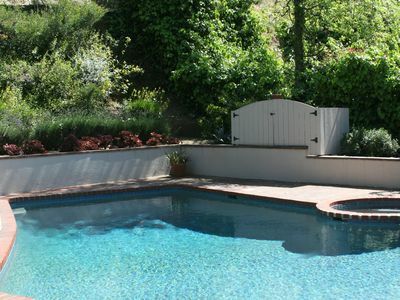 Our neighbors are very dear friends of ours and we are very discerning about the groups that we allow to rent. The space was built in the late 1920's and still retains that rare old world charm. 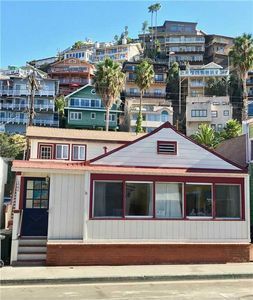 The property is situated directly on a beautiful sandy private beach just a short walk away from Topanga Beach State park. One of the three bedrooms have an ocean view, and every room in the house is filled with the calming sounds of the ocean. Will do my best to give you a verbal tour of the property so you have an idea of how things are setup. 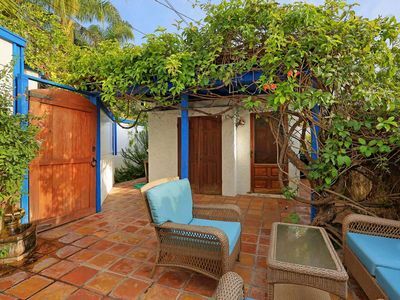 The front patio gate is directly off PCH . 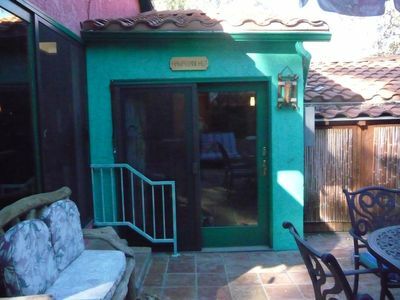 When you enter down the stairs, you will be in our private beachfront patio. From this space, you will be able to get to our front door. 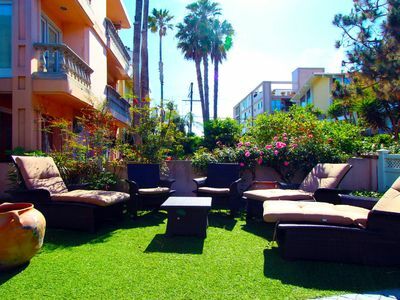 This offers our guests an additional level of privacy and separation from the hustle and bustle of PCH. Walking through our french doors, you will be taken to a long hallway that opens into our living room. 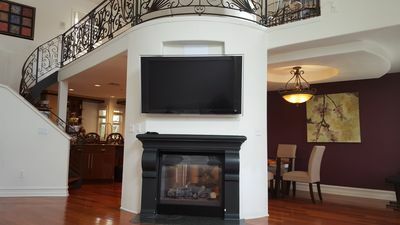 The living room has a 4K mounted SMART TV near the fireplace. 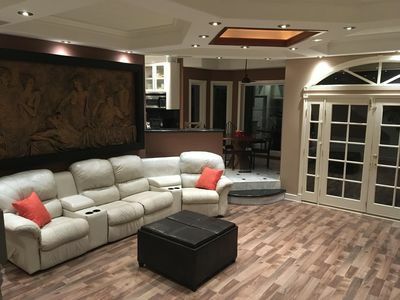 There is a large sectional that you can use to watch TV. 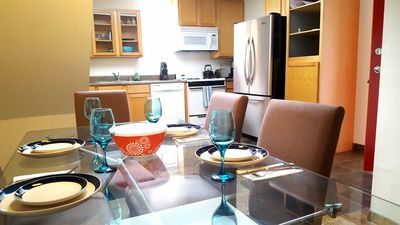 The dining room is adjacent to the living room and has a huge dining table that can seat up to 6 people. The dining area is directly off the ocean and provides a dramatic eating experience for with friends and family. There are multiple sofas and lounge chairs on the patio for your enjoyment as well. 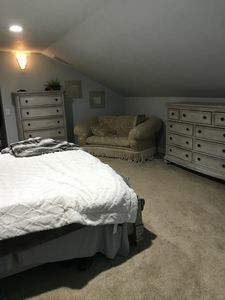 All the bedrooms are located on this same level. 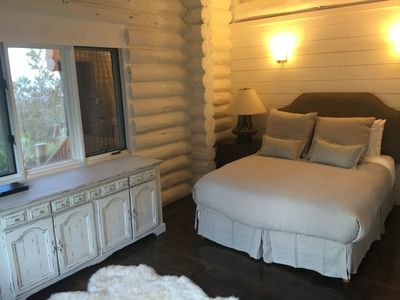 There are two bedrooms with king sized beds and one bedroom with two queen sized beds this is a private bedroom, however it has curtains and no doors since it was the most magical experience to open the eyes and be able to see the ocean. 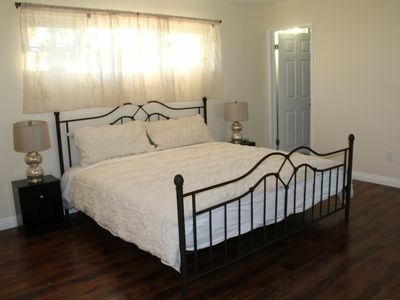 There is an ensuite full bathroom in the master bedroom and a second full bathroom that can be used by all parties. Pacific Ocean is an experience that most people will never have in their lifetime - we are excited to share it with you! 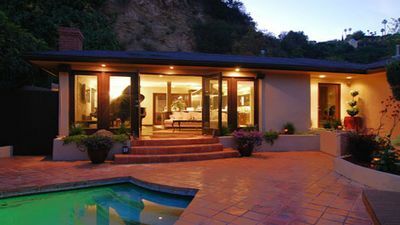 In summary, our home is filled with charm and will be the dream home for the right group of guests. 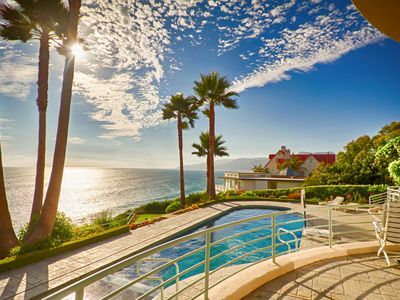 There are four beds, two full baths, oceanfront dining for up to 10 guests, and is directly off the Pacific Ocean in Malibu, California. You will have access to the entire home. The sandy front courtyard and all the amenities are all free for you to use. You may enjoy the beach, but please remember to clean up after yourselves and be very careful when walking downstairs as the steps can be slippery! You'll need to bring your own toiletries/wash cloths. We provide a beginning supply of bathroom tissue and hand soap. A brief disclaimer: This is the lower level of a duplex, the reason why we have a sandy courtyard with the most dramatic ocean views and sounds ever. However, if you are looking for a 5 star hotel or a very modern home, this would not be a good fit for you. 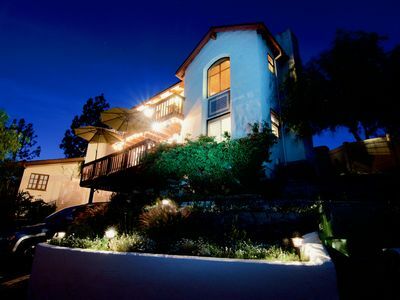 We prefer to host our home to guests that are tech savvy and independent. If you are used to calling the hotel front desk while abroad, our home might not be a good for you. Our home is professionally cleaned, all linens professionally laundered and all surfaces sanitized before and after each guest. That being said, the home is directly on the beach, so surface rust, sand, and water stains are to be expected. This does not affect the cleanliness of the property, it simply comes with the territory of living on the beach. If you are the type of traveler that is uncomfortable with rust or water stains, this might not be the best the best option you. 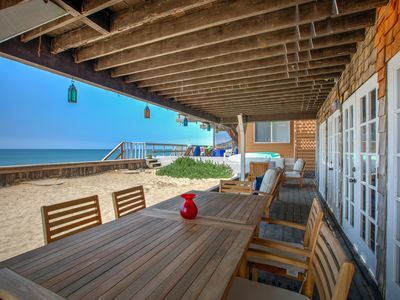 If you are an independent beach enthusiast that is looking for the ultimate gateway to Malibu, we are excited to welcome you to our home! We provide towels, sheets, and pillows, so you do not need to bring these things with you. We do NOT provide shampoo, conditioner, toothpaste, body wash, face wash, wash clothes, beach towels, sand toys, cable television, (we have Netflix attached to our TV), or laundry soap. If these things are important to you, please bring them when visiting our home. We want you to be comfortable when staying, so if you have any additional questions, please ask!